Three days after the big debut in the Euroleague, EA7 goes back to the ground and lose in Avellino. Sidigas has more energy, they run the floor, defend, attack the boards, block shots and produce an unbelievable performance. Olimpia had an up and down game, started well, had a blackout, responded, had another blackout. The team had a proud reactions in the central quarters, but for two times failed to score the would-be down 10 basket. Avellino regained confidence and got away for good. Second consecutive loss on the road in two Italian league games. THE FIRST HALF – Coach Scariolo starts with Gentile at the small forward position and Hendrix as a center. The start is explosive, Gentile scores twice, Langford makes a three and the score is 7-0 Milano. Avellino responds convincingly: when Dragovic makes a transition three it’s 16-11 with a 16-4 run. Milano responds with a couple of Melli’s basket and a couple of good defensive stands. When Basile creates an assist for Bourousis at the buzzer, Olimpia is again in the lead, 20-18 at the end of the first. Malik Hairston attacks the second period, with two straight drives. Ndudi Ebi scores his tenth points, Basile makes a three and it’s five-point up, 29-24. Avellino is a team of runs. A couple of miskaes and Dragovic and Shakur make back-to-back threes. 30-29 Avellino. That’s a vcritical juncture for Olimpia: Ndudi Ebi is dominating inside, especially defensively, blocks a Melli’s shot, block an Hendrix’s one. Chris Warren is on and Sidigas keeps going, flying 9 points up at the halftime. 26-17 the rebounding margin. THE SECOND HALF – It doesn’t start well. Avellino is placing a 7-0 run and Scariolo is obligated to call one more time-out after one minute and 24 seconds, down by 16, 47-31 after a Dragovic’s three. The bleeding is not stopping. 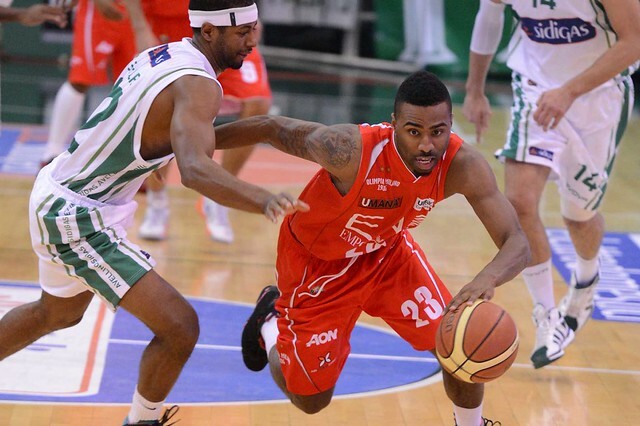 Avellino is in rhytm, has a lot of energy, keeps running and scoring. The margin grows up to 23 a couple of times. Here comes a promisisng reaction: after a Hairston’s three and a steal by Cook, Olimpia is again down by 16. At the beginning of the fourth, the margin is within 12 (61-49) after a Langford steal. But it’s just an attempt to have a comeback, beacuse after a couple of possession fail to produce any points, Avellino is on, again, running and jumping. Olimpia loses the last resorurces and give up..